W.E. 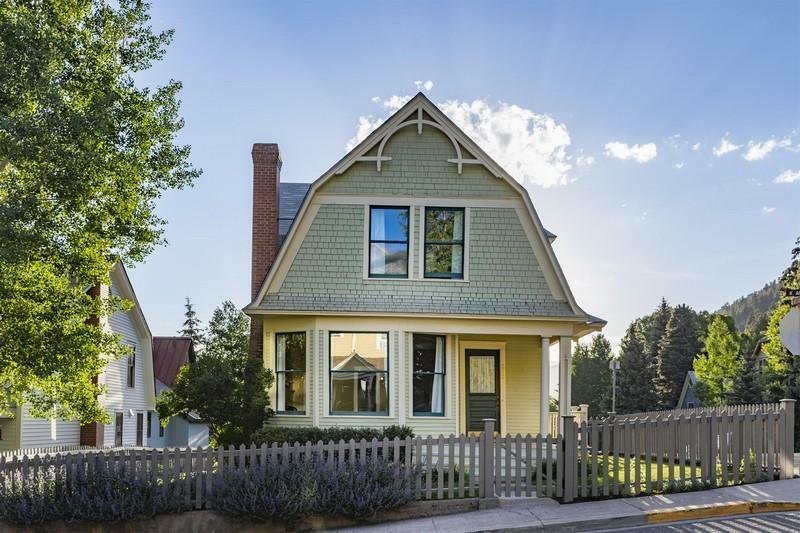 Wheeler Residence - Built in 1905 atop one of Telluride's finest residential streets, this Dutch Colonial Revival home offers the rarest opportunity to restore and revitalize one of the town's remaining historic gems. Set on the equivalent of over two residential lots the home & adjacent carriage house could be wonderfully re-imagined to take advantage of its incredible location, views, sunshine and privacy. Located within close walking distance of the Telluride's Main St, Ski Area & hiking trails, the home is set within a neighborhood of impeccably restored homes which showcase the perfect backdrop for this signature property.